In the case of Lefebvre v. Aviva Insurance Company of Canada, 2018 ONSC5676, the Plaintiff was involved in a car accident which took place on February 29, 2012. On March 5, 2012, Ms. Lefebvre’s doctor completed a treatment plan (OCF-18) and an OCF-3 Disability Certificate. BUT, these documents were not sent to Aviva Insurance at that time (bad move). Aviva Insurance sent Ms. Lefebvre and Accident Benefits package on March 13, 2012 along with the name and telephone number of an adjuster who could assist (good move). On May 9, 2012, Ms. Lefebvre sent Aviva the OCF-18 and OCF-3 that had been completed on March 5, 2012. But, she did had not submitted the most important document of them all; the completed OCF-1 Application for Accident Benefits. The OCF-1 Application for Accident Benefits is the most important accident benefit form in Ontario’s complicated no fault accident benefit regime. Without completing and submitting this form, the accident benefit claim will not be opened or commenced by the insurer. This is the form that gets the ball rolling. Unfortunately for Ms. Lefebvre; she had not submitted this form to the insurer. She likely didn’t know what to do, or thought that someone had submitted it for her on her behalf. Keep in mind that Ms. Lefebvre did NOT have a personal injury lawyer working with her at the time so she had limited guidance, other than perhaps from her own insurer which she may not have sought out or trusted. Years go by, without much happening on Ms. Lefebvre’s file. The OCF-1 is received at some point in time. When it’s received is up to debate, but the case doesn’t turn one way or another on when it was received. Upon reviewing the OCF-1; Aviva determines that Ms. Lefebvre may be entitled to an income replacement benefit, OR to a non-earner benefit. Ms. Lefebvre would have to chose which benefit she wanted by completing an OCF-10 Election Form. Aviva gave notice under s. 35 of the SABS that Ms. Lefebvre would have to complete and file an election form (OCF-10) indicating which of the two benefits she was seeking within 30 days. No election was submitted. On March 22, 2016, Aviva wrote again to Ms. Lefebvre indicating that she was required to file an election form electing between an income replacement benefit and a non-earner benefit before the Respondent could adjust her claim. Ms. Lefebvre did not make an election. Instead, about two years later, Ms. Lefebvre brought an application to the LAT seeking payment of non-earner benefits. This election was made after the LAT application had been filed, and after a case conference. The crux of the decision was Ms. Lefebvre’s failure to make an election between the non-earner benefit and the income replacement benefit before commencing the LAT proceeding. Again, it should be noted that during this time period when Ms. Lefebvre did not complete the OCF-1, and did not submit the OCF-10 Election Form until her LAT application; she did NOT have a personal injury lawyer working for her. It’s likely she didn’t have any clue about the pressing time lines she was dealing with; what all of the forms meant; how to complete the forms; and the consequences for completing or not completing the forms. It’s very easy for an large insurer to bury injured accident victims in mail. It gets to the point that there are so many letters and forms from the insurance company that you just don’t know where to start or what to do. 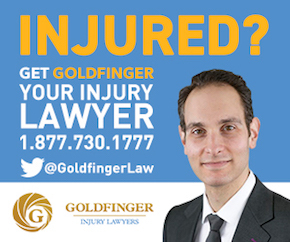 That’s what personal injury lawyers are for. We are here to help you sort through those mountains of forms. Because buried in those mountains of forms will be one letter or one document which needs to be completed in a timely manner or in a way you don’t understand. Getting those forms completed the right way, and on time can make or break your case. And that’s exactly what happened to poor Ms. Lefebvre in this case. The order must be read in context. The Adjudicator did not order that the Appellant had to wait until there was a denial of the non-earner benefits, despite being invited to do so by the Respondent…. Bad faith was not at issue. The application before him turned, in his view, on whether the failure by the Appellant to make an election before commencing the LAT application meant that there was not yet a dispute. Read in context, the Adjudicator’s order only required that there be some decision by the Respondent that was being challenged by the Appellant before there was a dispute. Adding insult to injury, Ms. Lefebvre was also ordered to pay Aviva’s legal costs in the amount of $6,000. All this for failing to complete a form in a timely manner….Lesson? Lawyer up sooner rather than later and avoid getting hurt twice.